The C.A.M. Report » Blog Archive » Does exercise relieve the symptoms of depression? Does exercise relieve the symptoms of depression? Researchers at the University of Washington Department of Family Medicine, in Tacoma, provide a pity review. Exercise reduces perceived symptoms of depression when used alone. 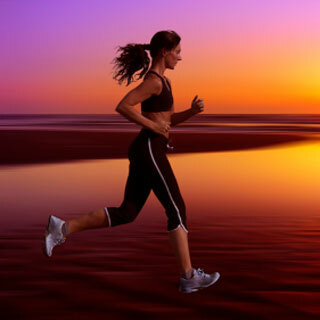 Exercise relieves symptoms as effectively as cognitive behavioral therapy or pharmacologic anti-depressant therapy and more effectively than bright light therapy. Resistance exercise and mixed exercise (resistance and aerobic) are better than aerobic exercise alone. High-frequency exercise is more effective than low-frequency exercise. “Mindful” exercise, which has a meditative focus, such as tai chi and yoga, also reduces symptoms of depression. You should turn off your computer now, and take a walk. This entry was posted on Tuesday, March 1st, 2011 at 11:18 AM	and is filed under Anxiety (Panic)/Depression, Exercise, Light Therapy, Tai Chi, Yoga. You can follow any responses to this entry through the RSS 2.0 feed. You can leave a response, or trackback from your own site. « Is it possible to prevent prostate cancer with diet and supplements?